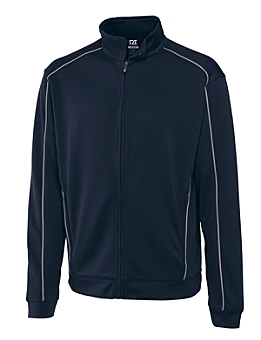 Cutter and Buck Men's DryTec(TM) Edge Full Zip Add an edge to your game with our moisture-wicking CB DryTec™ mesh weave full zip. The Edge Full Zip features a self-fabric mock, cuff and hem, pieced and piped front and back body, and pieced sleeves. 100% polyester. Machine wash. Imported..